A step coach is a mature, senior member of the group (one who has been in the group for a while and has shown evidence of knowledge and application of the 14 steps) who helps a member who has attended H.A. for only a short time to understand the steps and work on them. The step coach can meet with the newer members weekly for an hour to discuss the steps and their application in life using practical experiences. A step coach should not work with more than three persons. If the relationship is not helpful to the new member, he or she should decide on another step coach. For more details see the brochure The Step Coach. Both the step coach and the new member should read this brochure carefully. Members who are experienced may be willing to share their telephone numbers with those who might need to call for help during a time of depression or temptation. Members should be made aware that they need not feel a long conversation is necessary. In most cases it is not necessary to spend more than 15 minutes on the phone. If the person being called is in the middle of another activity, it would be good to talk just a few minutes, then ask to call back at a later time when more attention could be given to the difficulty. Example: “Joe, I really want to talk to you about this, but I’ve just started fixing supper and I need to get back to the stove. If you’ll give me your number, I’ll call you back in about 20 minutes and then we can talk about what you’re going through.” NOTE: Make sure you do call back as promised. If you are not able to return a call, it is best to tell the caller that. Two or more people commit themselves to pray for each other during the week. This can be done as individual prayer and/or can be a time when the committed persons get together for a short time of group prayer once a week. Organized social events such as pot-luck meals, songfests, games, picnics and other outings allow group members to meet in a less intense, more socially orientated environment than the H.A. meeting, and encourage the development of social skills that may be lacking in some members. Quite often a Bible class or study will develop as a spin-off from H.A. 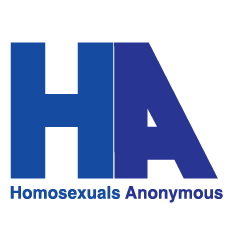 It would be wise to keep it non-denominational, to keep off the topic of homosexuality, and to make it open to others who have not experienced homosexuality. This encourages growth in personality development and a closer fellowship with members of the wider Christian community. may also be a spin-off from the H.A. group meeting. Explore other subjects pertaining to development and growth that may be only lightly touched on in H.A. meetings. Examples of subjects are: the art of friendship, how to reconcile with parents, coming to grips with hidden anger, the devotional life, learning financial responsibility through advanced planning and budgeting of money, etc. These subjects can be studied in conjunction with books. They are best applied when studied over a predetermined period of time (6 weeks to 2 months).